Why wait? Sign-up today. It’s completely free. Specific instructions can be found in the game info of our homepage. Basically, you select the game you’d like to play. Go to the payment page, and select “GoCash Game Card” as your payment option and then follow the instructions provided. Your GoCash Game Card must be redeemed within one year from the date of activation (the date you purchased your GoCash Game Card from the retailer). Can I split the value of a card? No. If you have a GoCash Game Card, you may only redeem the whole amount at once. You may not split the value of the card among different game portals. For example, if you bought a $10 GoCash Game card, you can only redeem it for the whole $10. You cannot redeem $5 in one game portal, and then $5 in a different game portal. Gold Members have the benefit of being able to split the value of their cards as much as they want. Earn GoPoints, Get Free Prizes. 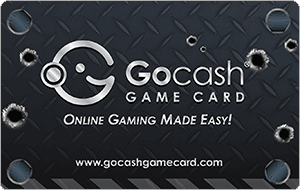 Gather GoPoints by logging in before redeeming any of your GoCash Game Cards. Trade in your GoPoints for different prizes. Receive Double GoPoints if you use your Membership Card! What are GoPoints useful for? GoPoints are useful for many things. You can gather enough GoPoints to become a Gold Member, accumulate enough to redeem cool gift rewards, or use them to participate in mini-game tournaments! How do I earn GoPoints? You will need an account with GoCash Game Card. In order to earn GoPoints, you will need to log-in before you redeem your GoCash Game Card. GoPoints will be awarded only if you log-in before you redeem your card. You may also earn GoPoints by participating in mini-game tournaments that will be held periodically. What are the benefits of GoCash membership? •Receive a Membership Card – Get Double GoPoints! How to get the Membership card? 1.Gather 5000 GoPoints and become a Gold Member. 2.Gather 1000 more GoPoints (only a $10 redemption!) and click on & Get Rechargeable GoCash Card on your profile page. 4.Wait for your card in the mail!